Everyone who has tried to buy a new car in the recent past in Pakistan will be familiar with the term “on”. For those who are not, it is money charged by dealers over and above the ex-factory tax paid price of the car for “on-the-spot” delivery. Although having no legal standing this ‘on’ has come to be accepted as part and parcel of the total car price and people when inquiring about price of cars ask about the ‘on’ that will be payable along with the actual price. The demand for cars in Pakistan has witnessed exponential growth. This demand increased at such a rapid rate that it became impossible for the manufacturing firms to meet it with increased supply because increasing out put of any product brings with it many risks and costs and the process takes considerable time. A large demand – supply gap in any item will inevitably bring opportunists in the picture. When supply is short the hoarders and the middlemen book many cars at a time and sell it later at a premium price to people who are willing to pay extra for prompt delivery rather than wait six-eight months for their new cars. This premium reached a staggering Rs. 150,000 on certain makes and models years back when banks introduced easy loans to absorb excess liquidity. The share of consumer lending increased rapidly going higher than even commerce, services or transport, storage and communication. 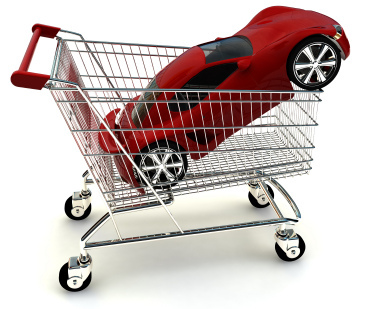 According to figures almost 7% of the total consumer lending at that time was used to buy automobiles. available for people here is not suited to meet needs. With the fast paced life of today it’s difficult to use the existing system that prove to be unreliable in case of time constraints. Further the uncomfortable transport available makes using personal cars for transport a very attractive option instead of facing an ordeal every time one has to travel. the price but the question of affordability exists no more as banks are ever ready to extend loans on easy installment schedules. The auto industry has tried to address the problem of premium by increase in production. According to a report the production of vehicles has shown 9 percent growth. The government on the other hand has tried to restrict demand to genuine buyers only. In January 2005 the State Bank of Pakistan restricted financing institutions from financing premium, in order to ‘remove speculators form the market and encourage genuine buyers’. The government reduced duty on imported cars to control the increase in demand of local cars but this step did little to meet its objective as the increase in sale of local cars was 20% during fiscal year 2005 and the sector has shown a further rise by another 25% during the first half of the current year. Many solutions have been suggested to address the problem of car premiums. The auto industry has suggested that registration of the car should be under the same name in which the car was booked and this registration should be in-transferable for at least one year. this problem to a great extent. The measures that have so far been taken by the government to control premiums on cars have somewhat proven to be effective as now the premium has shrunk to Rs. 150,000 from the once Rs. 40,000. It seems the ‘on’ culture now is on its way out or is it?.